In this very special event Christopher Le Brun RA will be “in conversation” with SM&AG’s curator Sophie Cummings. 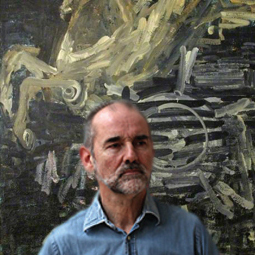 Christopher Le Brun is a talented painter, sculptor and printmaker, whose stunning piece ‘Hyperion’ entered Swindon’s collection in 1982. The eight foot high canvas fuses the artist’s painterly technique with classical mythology, to create a monumental painting of the winged horse Pegasus. Since the piece was acquired by Swindon thirty-five years ago Le Brun has had a rich career, exhibiting work and entering collections throughout the UK, Europe and America. This talk will provide an opportunity to hear more about the artist’s work, from his early symbolist and mythological inspired imagery, to his recent colour-filled abstract canvases. Alongside his work as a practising artist, Le Brun has made many impressive contributions to public galleries in London. He has served as a trustee of the Tate, the Dulwich Picture Gallery, the National Gallery and the National Portrait Gallery. In 2011 he was elected President of London’s prestigious Royal Academy. Hear more about the artist’s fascinating work and career by coming to see him in conversation with SM&AG’s curator Sophie Cummings. There will also be a chance to ask your questions toward the end of the talk.